The Red Sox offseason has started early this year, and rumors are flying. One name linked to the Red Sox is the all-star left handed pitcher Cole Hamels. But forget about him, another top left-handed could be for 'Sale'. The recent rumors are out of Chicago. 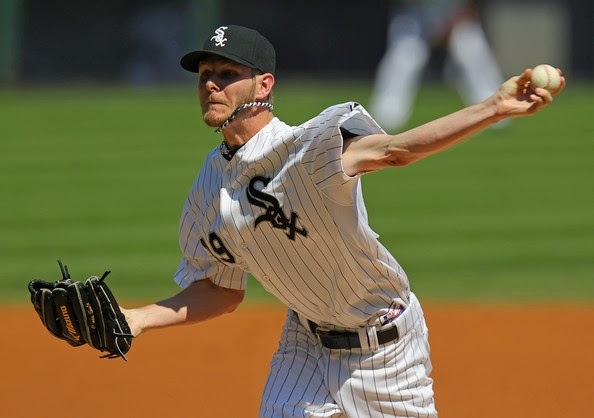 The White Sox have been rumored to be shopping their left handed ace, Chris Sale. Since the 2013 offseason Chris Sale's name has been rumored on the trade block. Sale had a breakout year this season, going 12-4 on a team that finished 73-89. 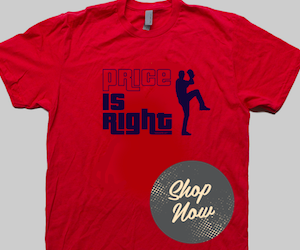 His 2.17 ERA claimed the third best in the league, and his 0.97 WHIP was fourth best in the bigs. Sale was the bright spot for a bad White Sox team. So why is he on the block? He has two team options coming up that the White Sox really aren't that interested in paying. Plus the White Sox need so many upgrades at other positions, they could be looking to receive some prospects to build around. If any farm system had the talent to get Sale, the rich Red Sox farm system could get the deal done. It would take a lot to acquire the 6'6" Sale from Chicago. But the Red Sox front office might give up a lot for him. One thing that you keep hearing over and over again is how Henry does not want to give max contacts to pitchers over 30, who have never had arm surgery. Sale's contact will keep him under the Red Sox control until 2017 for a pretty cheap 9 million dollars a year - exactly the kind of contract Henry is looking for. The Red Sox would be acquiring a 26 year old pitcher who is coming off a Cy Young quality year and is headed for the prime of his career. Plus Sale's contract comes to am end with two team options in 2018 and 2019 - music to John Henry's ears. This means the Red Sox could keep the superstar on their roster until is was 30. Then Henry can decide if he wants to extend him or keep his rule with 30 year olds and let him walk. 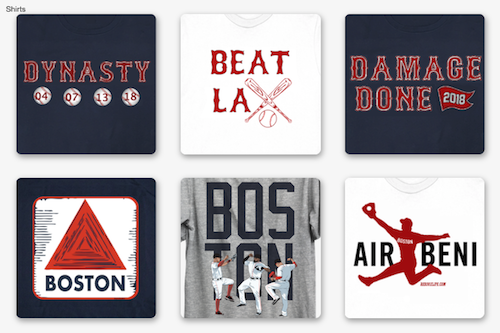 But what will it take to get Sale in a Red Sox uniform? The White Sox are a team that need a lot of help, at a lot of different positions. One of the main Red Sox strengths in their farm system is an asset the White Sox badly need, catching. Christian Vazquez has been a rock behind the plate and could be a strong defensive catcher for the future. 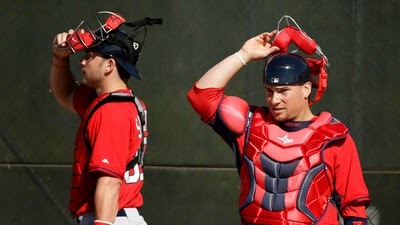 But one of our top three prospects is also a catcher, Blake Swihart. Swihart is an exciting player to watch but would be the one player the White Sox need to acquire to make a deal to trade their ace. Trading Swihart to acquire Sale would almost be painless for Boston, because of the way Vazquez is playing. But to make things clear, Sale would not be dealt just for Swihart. Even though the White Sox need a catcher it wouldn't get done. Thats where Henry Owens name comes in. The Red Sox top pitching prospects. It would be tough to trade 2 out of their top 3 prospects, but it might be worth it for Sale. If the Red Sox aren't interested in trading Owens along with Swihart, they could try Webster, Ranaudo or maybe both in-place of Owens. That would be much more interesting for the Red Sox but Chicago might have no interest. Expect the Chris Sale rumors to pick up after the World Series. Sale would be a big addition to a struggling Red Sox rotation.